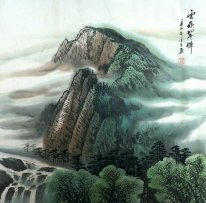 Chinese Mountains Paintings for sale! 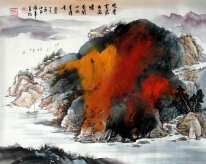 Chinese mountains painting is not simply depict natural views, but reveal the pursuit of spirit and the philosophy of life of painters. 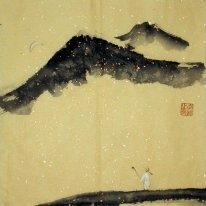 It also reflects the inner consciousness for self-cultivation of Chinese which called "Mountain is the model of virtue and water is the good example of character". 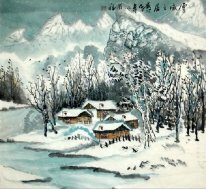 And paintings of wooded mountain are mostly express the delight of living in mountain, or the inconceivable appeal of dreamlike landscape, or the detached feeling for living in Arcadia. 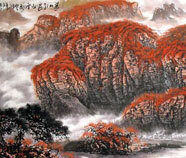 Each person can find his/her own residence of soul from paintings. We can paint any size, we can paint any image. Can't find what you are looking for? -- Click here to Email Us.